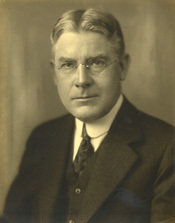 STOBBS, George Russell, a Representative from Massachusetts; born in Webster, Worcester County, Mass., February 7, 1877; attended the public schools of Webster, and Phillips Exeter Academy, Exeter, N.H.; was graduated from Harvard University, in 1899 and from its law department in 1902; was admitted to the bar in 1902 and commenced practice in Worcester, Mass. ; special justice for the central district court of Worcester 1909-1916; captain in the State Guard of Massachusetts 1917-1920; assistant district attorney for the middle district of Massachusetts 1917-1921; elected as a Republican to the Sixty-ninth, Seventieth, and Seventy-first Congresses (March 4, 1925-March 3, 1931); was not a candidate for renomination in 1930; one of the managers appointed by the House of Representatives in 1926 to conduct the impeachment proceedings against George W. English, judge of the United States District Court for the Eastern District of Illinois; major and subsequently lieutenant colonel in the Judge Advocate Generals Department, Officers Reserve Corps, 1927-1942; delegate to the Interparliamentary Congress, London, England, in 1930; delegate to the Republican National Convention in 1932, and to the Republican State conventions in 1940 and 1942; resumed the practice of law in Worcester, Mass. ; died in Worcester, Mass., December 23, 1966; interment in Rural Cemetery.